TablePress: The New Best WordPress Table Plugin? I have been a fan of WP-Table Reloaded for a long time. For over a year it has served me very well by allowing me to easily create complex tables from within WordPress. It comes loaded with a glut of great features such as simple importing and live table sorting/search functionality. The feature set is impressive and the plugin is completely free and available for download from WordPress.org. Having said that, I’ve always kept my eyes open for a better WordPress table plugin, because in my opinion plugins often thrive when placed within a competitive environment. TablePress is in fact the direct successor to WP-Table Reloaded. Developed by the same chap, Tobias Bäthge, it is currently in advanced beta stage and available for anyone to use on their WordPress blog. I was rather curious as to what some might simply consider a new version of an existing plugin would need an entirely new name, so I set out to interview the developer. Here’s what he had to say! My name is Tobias Bäthge and I’m from Magdeburg, Germany. After majoring in Engineering Cybernetics at the Otto-von-Guericke University Magdeburg, I’m currently pursuing a PhD degree in the field of control theory there. I’m an avid baseball fan (I play catcher for our local team, called Magdeburg Poor Pigs) and I keep my fingers crossed for the Seattle Mariners. How did you first learn about WordPress and what got you into plugin development? I’ve always been interested in mathematics. I started programming small math tools at the age of 12 or 13, in Turbo Pascal for MS DOS, and then Delphi on Windows. After we got an internet connection at home, I wanted to offer my tools for download on a personal website, so I started with HTML and then PHP soon after. This worked quite well for some time, but when I started with university, I wanted something more advanced. That’s when I found WordPress and when WP 2.0 came out I used it to turn my static website into a blog. 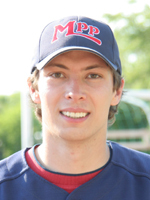 I liked it so much that I used it to rebuild my baseball team’s website. As such a website needs special things, and as I already knew some PHP, I got more interested in WordPress development. What inspired you to develop WP-Table Reloaded? One of the things that we needed on the baseball website were tables — for player rosters, standings, schedules, and so on. As I wanted other people (without knowledge of PHP) to be able to work on these tables, just using HTML code for tables in a page was not an option. 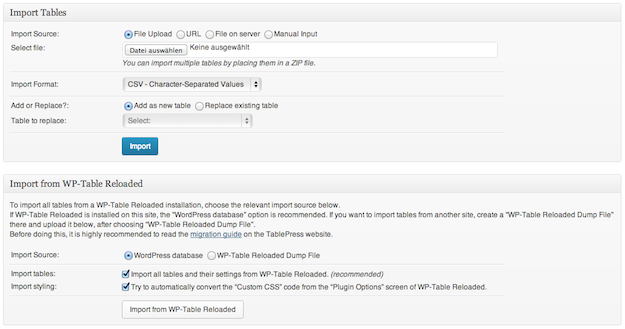 I looked for a WordPress plugin and found “wp-Table” by Alex Rabe. It worked quite well in the beginning but we soon ran into limitations. When Alex announced that he wasn’t able to continue supporting his plugin, I decided to give it a go and write a table plugin. And with that, WP-Table Reloaded was born and quickly became surprisingly popular. Why have you decided to create a completely new plugin that intends to replace WP-Table Reloaded? Just as with the limitations that I had run into in the original wp-Table plugin, there are now several things in WP-Table Reloaded that are making further development difficult, or that are just no longer state of the art. With the knowledge and experience that I gained while developing and supporting WP-Table Reloaded, I now know that there are better ways or technologies for essential parts of the plugin. For example, the internal data format and storing location that WP-Table Reloaded uses has been superseded by better ones. Thus, I decided to completely rewrite it with the goal to use modern programming principles and techniques. This also allowed me to throw away some cruft in the code base, and as I had integrated many enhancements and new features, I felt that a new name for the plugin was appropriate. What makes TablePress the best tables plugin for WordPress? Many people — for example in the plugin reviews and in the WP support forums — like that TablePress integrates so nicely into their known WordPress environment, and that it is very easy to use without a lot of training. One reason for that might be the import feature, which helps to get great results very quickly. Still, everything is designed to be flexible, if customization is desired. Should people who have used WP-Table Reloaded switch to TablePress, and if so, why? Definitely, but there’s no need to panic! As mentioned before, TablePress is not just a complete re-write of WP-Table Reloaded. Additional to all of the WP-Table Reloaded features, it brings many enhancements (visible and under the hood for better performance), as well as (in my opinion) awesome new features: a fresh and modern default design for tables, a table “Edit” screen that is much easier to use, Bulk Import and Export of tables, and, as a highlight, spreadsheet functionality (i.e. support for formulas and math expressions, similar to Excel). With the release of TablePress 1.0 (probably in January — I just want to add/finish a few more minor things), development and support for WP-Table Reloaded will be phased out and eventually discontinued. The plugin will of course continue to work but it will not get any new features and only important bug fix updates, if necessary. WP-Table Reloaded should no longer be installed on new sites. Instead, I recommend to directly start using TablePress on new sites. Sites that are already using WP-Table Reloaded should migrate to TablePress in the next few months in order to benefit from better performance and more and new features. If people do choose to switch, can they expect a smooth process? I’m trying my best to make sure that switching from WP-Table Reloaded is as safe and easy as possible. TablePress can import existing tables and settings from WP-Table Reloaded in just a few clicks, and if a site doesn’t use customizations (like big chunks of “Custom CSS” code, or “WP-Table Reloaded Extensions” from the plugin’s website) this is a matter of seconds. For more information and instructions, there’s a migration guide available on the TablePress website here and I’ll be around in the TablePress support forums. Are you working on anything else that we should know about? Besides WP-Table Reloaded and TablePress I’m sometimes active with WP core development — like double checking commits or submitting patches for small issues or enhancements. I also try to monitor my plugin’s support forums closely as I always learn a lot from that and get to know great people. Thanks to Tobias for taking the time to answer my questions — further to his comments and having tested TablePress, making the switch seems to me to be a no-brainer. The plugin seems nice and stable and there is no doubting its improved feature set. Not only that but WP-Table Reloaded will become obsolete before long, so it makes sense for new adopters to go straight to TablePress. For those of us who are existing WP-Table Reloaded users, it seems like there is no great urgency for us to switch. Having said that, I would recommend that you port over to the new plugin sooner rather than later, to take advantage of TablePress’ great new features and increased efficiencies if nothing else. Are you an existing WP-Table Reloaded user and if so do you plan on making the switch soon? Or do you use and prefer an alternative table plugin for WordPress? Let us know in the comments section! Download TablePress from WordPress.org here. I came across this old post while researching WordPress table plugins. It’s interesting how TablePress has stood the test of time as it’s still the best plugin for displaying static data in a table (either entered directly or from a spreadsheet). Since you wrote this article, a new generation of table plugins has emerged where you can create automatic tables containing content already stored on a WordPress website such as pages, posts or custom posts. This opens the door to many different types of WordPress table such as instant tables of contents, blog post indexes, audio galleries, media libraries, document libraries and member directories. By storing the data within WordPress itself, the table is more flexible and easier to maintain in future. For example Posts Table Pro lets you create any sort of instant table, and WooCommerce Product Table is a WooCommerce-specific version for creating a product grid view. TablePress definitely still has its place as the best way to display static data, and should be viewed alongside the new options for creating instant tables without having to add the content. While I LOVE TablePress, I realized recently that it would not work well for my Amazon Affiliate Product Tables. Amazon does not allow you to use “borrowed” images that are not pulled from their API, or display prices. If you violate either of these, you can get your account banned. I just make sure you and your readers are aware of this. I have recently developed a TablePress Alternative – Azon Tables. It pulls all of it’s information from the Amazon API, and is 100% Compliant with their TOS. Thanks for posting my reply! Thanks so much for this useful post. Really very nice article. The TablePress product comparison plugin is still relevant and working as good as ever three years later in 2015! It’s greatly increased my CTR and overall affiliate sales on multiple websites I operate. As a professional web developer and affiliate marketer – I highly recommend it. Could you please tell me if it is possible to add data from a WordPress Custom Field – rather than typing it in manually. TablePress is an excellent plugin: it’s free, it has tons of features, the code is well-structured and regularly maintained – Excellent work, Tobias. Maybe people who look for plugins which would help them to manage their tables within WordPress could also consider taking a look at wpDataTables – http://wpdatatables.com – we are not quite competitors with TablePress, since our plugin isn’t free, and it handles data in a different way; though it allows front-end editing, different way of handling responsiveness, and a number of other features. Have you consired Tabulizer for WordPress? http://www.tabulizer.com/index.php?option=com_content&view=article&id=80 explains why Tabulizer should be considered a more complete solution than TablePress. I have serious issues with the Search function and was wondering whether anyone else has experienced this. My table has almost 1000 rows, so paging through it is not practical. The search results are never correct. I’m looking for a plug-in that allows me to place media files, like pictures, in a “non-standard” ways – say for example a picture surounded by text on both sides. Do some of you know any good plug-in for that? I am a MD . I want to use the tablepress for visitor weekly diet survey or evaluate some diabetes risk factors. but my problems is ‘ How tablepress filled by visitor in special site?’ Thanks very much if you give a suggestion . Hi i have use tables reloaded when i was using wp it was exellent, i am now using osclass to try and develope my own classified ads website ,i notice the plugin system is simlar to wp , what i would like to ask is their anything simlar to TablePress or WP-Table Reloaded, i could use for tables on osclass the only problem is i would use a normal table system but i need tables that engins will pick up links to the subdomains of mysite such as websites for different areas of the country. so it would be important that the seach engines pick up the links within the tables ,any ideas. Thanks Russ. Hallo, ich habe den Einsatz Tabellen neu geladen, wenn ich war mit wp es war ausgezeichnet, ich bin jetzt mit osclass zu versuchen und zu entwickeln meine eigene Kleinanzeigen Website, merke ich das Plugin-System ist simlar zu wp, was ich möchte Sie fragen, ist ihr nichts simlar zu TablePress oder WP-Table Reloaded, konnte ich für Tabellen verwenden auf osclass das einzige Problem ist, ich würde einen normalen Tisch-System verwenden, aber ich brauche Tabellen, engins abholen Links zu den Subdomains mysite wie Websites für verschiedene Gebiete des Landes . so wäre es wichtig, dass die Suchanfrage Motoren abholen die Links in den Tabellen, irgendwelche Ideen. Dank Russ. i love this table maker… i use this plugin for my webs. its very easy to handle and have nice look. my web has many data and need this plugin for front end. Cool plugin, it functions perfectly, I use it for my next project. Good article, cheers! Your best bet is to contact the developer directly to get plugin support. Is there a way to merge cells in TablePress? I have a table that contains several headers within it and would love this option. Yes it’s very easy to merge cells in TablePress. can you tell us how to merge cell? it’s so easy that i did not find how doing that…..
first off: TablePress rocks and enabled me to compose a large fiddly table quickly. Tobias has clearly thought many things through, eg. The table I initially created in TablePress was 9 columns wide and 17 rows deep and when I updated my blog page the table was too wide for my page. But rather than go through the painstaking task of recreating two tables from scratch, I was able to use his Table Copy function to create two tables then edit each to show the complementary columns – problem quickly solved. …However in one of the rows I have logo images that I wished to link to respective websites. While the linking works, it does not allow me to open each link in anew window. I even tried inserting the [ target=”_blank”> ] into the image html but that didn’t work. So it would be great if Tobias could set a flag on the image page close to the Link fields that enables you to open the image link in a new tab (or window). Finally it would be a real bonus if there was a wysiwyg formatting tool, rather than having to embed the HTML code or CSS code into each table cell for common things like bold, italicise and colour selection. correct was to place the target statement after the end of the href link ie: [ href=”path to link” target=”_blank”> ]. This means you can place a logo in TablePress and on click have it open to a new tab. Using Tablepress on a client’s site and Tobias was very helpful and responsive to every issue in the support forum. Keep up the greak work. This is an excellent plugin and Tobias is great. I had a slight problem on my site using TablePress (my fault not TablePress) and Tobias had it sorted out within minutes. Within an hour or so of downloading the plugin, I had the tables I needed published on the site. Great plugin, highly recommended. Thanks for the article. I’m using tablepress !! i need to replace one link in more than 70 tables, can i do “find AND REPLACE OVER TABLEPRESS” ?? If so how ?? Can any1 help me out ?? I’m afraid I don’t know Bharathi — I would recommend submitting your question on the WordPress.org support forums. I’m a fan of WP-Table Reloaded and have been using it for about a year on a few sites. I look forward to using TablePress, and will migrate my existing tables within the next few weeks. Well done to Tobias for providing us with an excellent table plugin. I’m using this plugin from the day because I love TablePress for their hot UX an UI. I have been playing around with TablePress and it is working well! Thanks so much for this post. I have try using tablepress. The best thing is import feature. This is the best plugin for make some table. 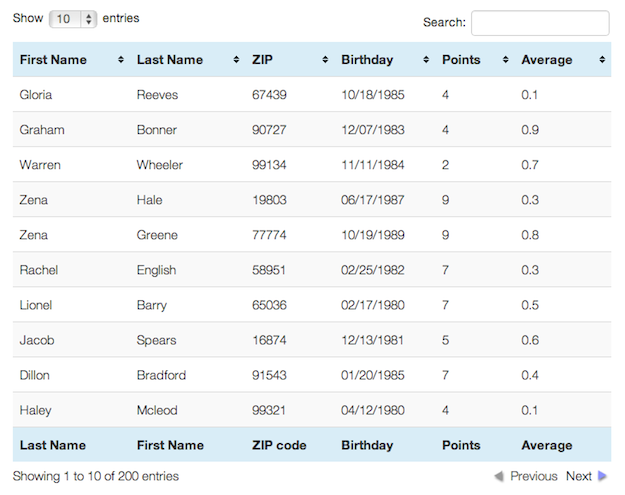 I have been in the blogging scene for a long time now but never really considered a plugin for tables. Used to work with simple HTML or used to import from Excel into live writer. Will check with table press on the extras it could provide.